An induction meeting was held at Kafaat’s headquarters last week to welcome the new joiners. On behalf of the CEO Mr. Faisal Al Ghannam, the HR Director Mr. Mohammed Al Gesayer welcomed the new employees and wished them a successful career. 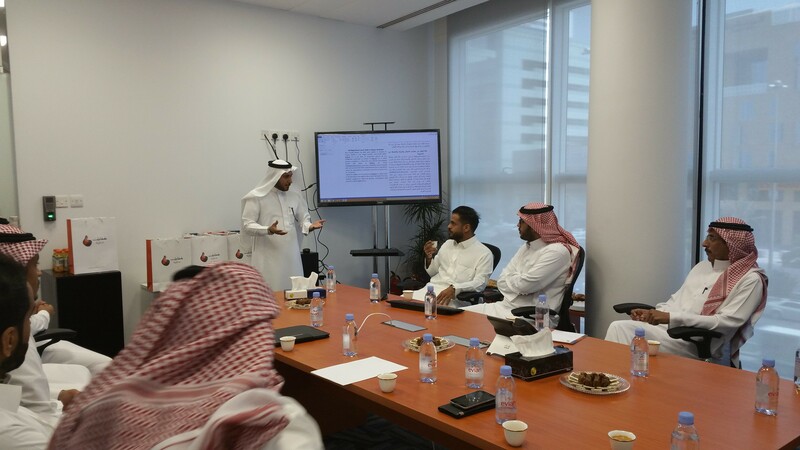 During the meeting, he highlighted the company’s objective, vision and mission. Also, he pointed out a number of employee rights and responsibilities as well as demonstrated the laws and regulations that the employees might need to be aware of during their career life. At the end of the meeting, each employee received an employee package, and they have had cordial talks in order to form a relationship within the team.